Our travels to the state of Florida proved once again that Iowa State has fantastic alumni all across the country. Jim and I are never disappointed and, in fact, nearly always WOWED by the people we have met through our VISIONS Across America project. On this particular trip, we met Brenda Lanning Marlow (’88 consumer food science), a manufacturing manager at Tropicana and a huge Iowa State fan. In fact, she’s the president of the ISU Alumni Association Club of Tampa. Brenda showed us around the Tropicana plant in Bradenton, in west-central Florida just south of the Tampa/St. Petersburg area. We watched truck after truck filled with Florida oranges pull into the receiving area and dump their loads. Brenda says Tropicana purchases approximately 30% of all oranges grown in Florida. That’s a lot of oranges. 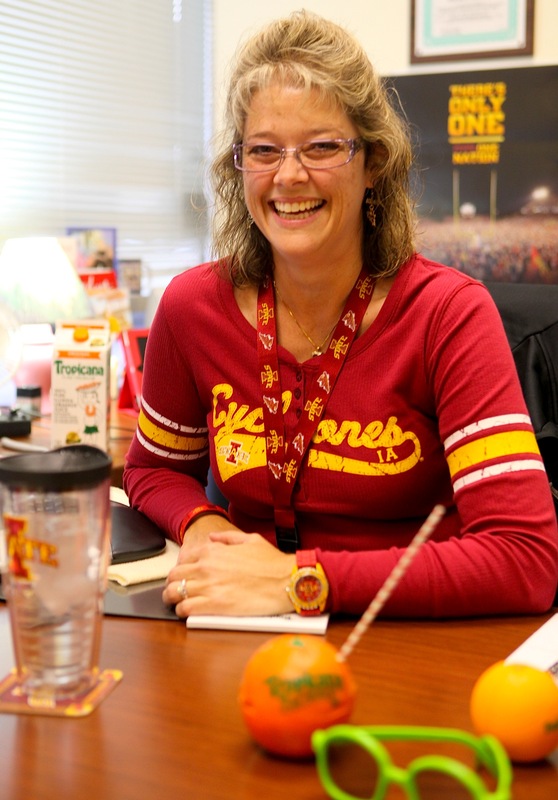 Brenda’s office (and Brenda herself) was decked out with Cyclone gear. She says she didn’t do anything special for the photo shoot — she’s just really, really proud to be an Iowa State alum. 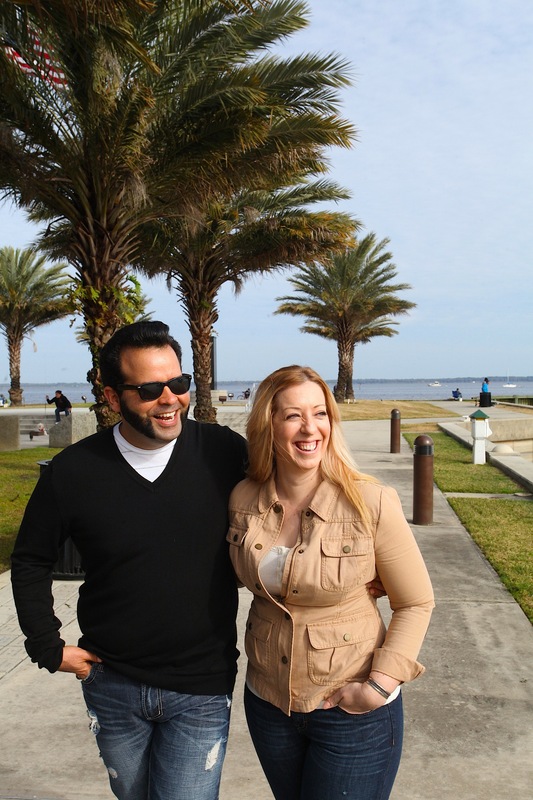 We met Rafael Perez-Micheli (’97 art and design, ’03 graphic design) and Bridget Moore (’02 English) in historic Sanford – a community north of Orlando that’s known for its picturesque lakefront as well as its art, theatre, film festivals, food, and antiques. Bridget (an Ames native) and Rafi (originally from Puerto Rico) met in Ames, married more than 10 years ago, and have lived in Sanford since 2004. Rafi is an art director, and Bridget is a proposal manager — and they both totally love living in Sanford, which Bridget says reminds her a lot of Ames. They took us to the marina, to the local farmers market, and to a popular German restaurant: Hollerbach’s Willow Tree Cafe. We had so much fun, we hated to leave. On the eastern side of the state, north of Daytona Beach, we had a delightful visit with Ike Harris (’74 accounting) at his home in Palm Coast. 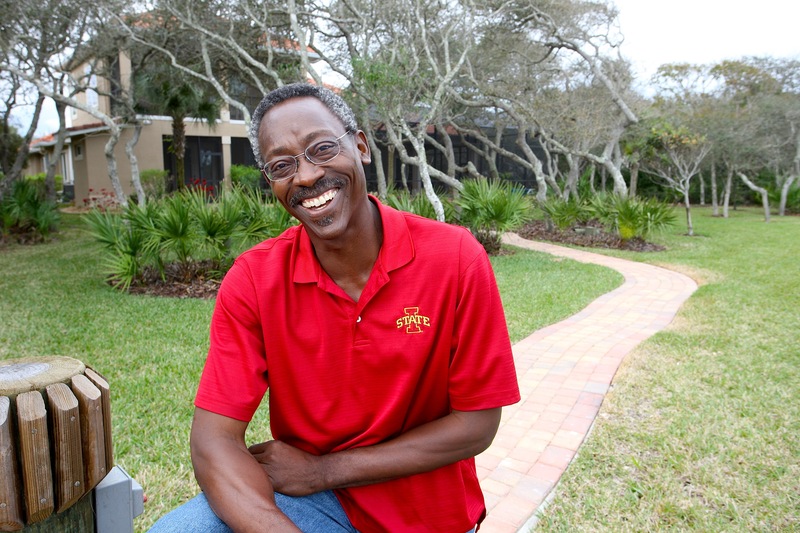 Ike is a former ISU and professional football player and was president of the Bell South communications corporation in Atlanta before moving to Florida with his wife, Charlene (’75 textiles and clothing). The two met as students at Iowa State and have raised two children. Jim and I are back in Iowa now, with a winter storm bearing down, so I’m thinking maybe we should have stayed awhile longer in the Sunshine State. I’ll tell you more about some of these alumni and share more of Jim’s photos in the coming weeks. Well, our winter travel reprieve has ended. We haven’t been on the road since November, and it’s been great to stay put in Iowa for awhile. I’m pretty well caught up with posting alumni profiles from our travels last fall to New England and the Southwest, and the spring issue of VISIONS is mostly in the capable hands of designer Scott Thornton (always a good feeling). Since I’ve been close to home, I’ve also spent the last two months in planning mode for the rest of our VISIONS Across America travel. We’re heading to Florida next week to meet with four alumni. After that, we’ll have just a few weeks to prepare for the next trip – this time we’re traveling to Washington, D.C., Maryland, Delaware, and Pennsylvania. (Will there be apple blossoms on the trees – or snow on the ground? Frankly, it makes me nervous.) Then we’ll have another quick turn-around before heading off to New York, New Jersey, and Connecticut in late April. That will leave just 16 more states! But we still have lots of planning to do and lots of miles to cover, because some of those states out west are massive – like Montana. It’s been so much fun hearing from alumni in all the remaining states. I can’t wait to meet them!